Do you have items for sale? We now have a Closed Facebook Group for our Queen of Hearts Dealers, and will be happy to post furniture ONLY items that you may have to sell. However, this is used mainly as a resource for our dealers to find merchandise to resell in their booths at the Queen of Hearts. Therefore, we will ONLY post items at RESALE not RETAIL prices and will NOT post items with BEST OFFER. If you are wanting "retail" prices, you may be more successful getting a “retail” price by posting these items on Craig’s List or other types of Garage Sale type sites. NAME, EMAIL, PHONE and PRICE REQUIRED. We will distribute the information to our dealers and they will contact you directly if they are interested in purchasing your item and they will make their own payment and delivery arrangements. 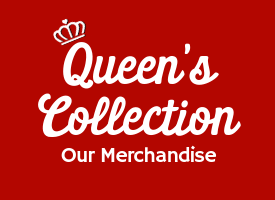 The Queen of Hearts is not liable or responsible for any transactions resulting from the sale of your merchandise. Have you been searching for an item? Let our Queen of Hearts dealers search for you. Send an email to QueenItemsforSale@gmail.com and let us know!